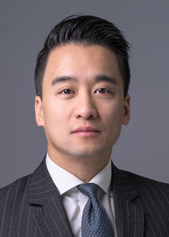 William Lo is an associate in the Finance Group in Cadwalader's London office. William’s particular focus is on real estate finance. With over a decade of experience in advising on the financing of real estate assets and on the acquisition disposal and financing of real estate asset loan portfolios, William’s experience spans across a variety of UK, Pan-European and global transactions, as well as a diverse range of real estate assets, including hotels, commercial and residential building complexes, and health care and logistics centres. William represents both lenders and corporate clients, including financial institutions (both bank and alternative lenders), publicly listed and private multinational corporations, joint ventures, international fund managers and private equity. William is recommended in Legal 500 UK 2019 for his property finance work. William obtained a Bachelor of Law from University of Leicester, and a Distinction from University of Law. He is admitted to practice as a solicitor in England and Wales. Project Duo and Exo, a £1 billion financing for one of the largest sovereign wealth funds in the world with assets across Europe and Asia, including logistics in Korea. *Several of the above representations were handled by William prior to joining Cadwalader. University of Leicester, School of Law - LL.B.